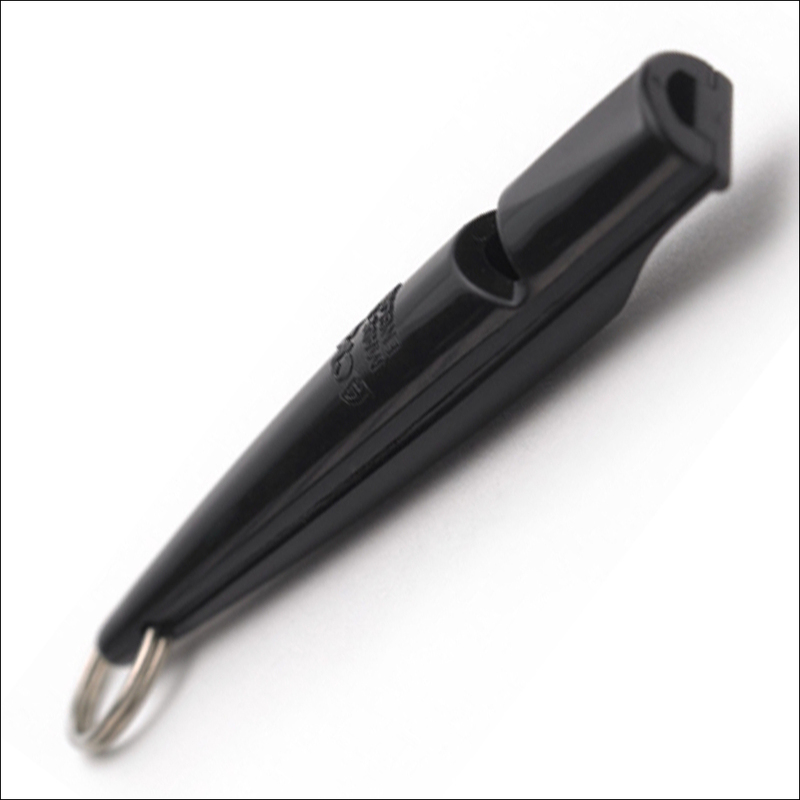 ‘Acme’ is the market-leading manufacturer of quality whistles. From their entire, comprehensive, range, just two models of Acme whistles account for 99% (and possibly more!) of our whistle sales – those models are the 210.5 and the 211.5. These two whistles are visually identical – the only difference is between their pitches. The sound produced by these whistles is ‘constant’ – they do not contain a ‘pea’ which would create a ‘trilling’ sound. Described below is the full range of Acme whistles which we offer. If you’d prefer to read about only a particular whistle please use the tabs above. The 210.5 has been developed with an extremely high pitch to be best-suited to spaniel breeds; the 211.5, with a slightly lower pitch (although to the human ear the difference is almost indiscernible), is best suited to retriever breeds. As a clue to their popularity, it’s interesting to note that Acme produce these two whistles in a wide range of colours. Of their other whistles, none are produced in more than two colours. That tells a story! The 210 – available in orange or black. A long, long, way behind, all the other whistles pretty much share a far, far, lower level of popularity. The 210 is visually very similar to the 210.5 and the 211.5. The major difference is that the 210 contains a ‘pea’, so when it’s blown a trilling sound is created. In principle, there’s nothing wrong with having a whistle which emits a ‘trilling’ ‘sound; it seems that for whatever reason trainers are generally more inclined towards, so presumably have more success with, whistles which emit a ‘constant’ sound. At a higher level of training sophistication, benefitting from its contrasting sound the 210 might be used in conjunction with a 210.5 or 211.5 to accommodate a wider range of instructions. The 212 – available in orange or black. 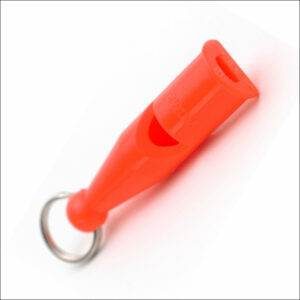 The 212 can be visually identified as different from the other Acme plastic whistles, being measurably shorter. With its medium pitch, the 212 is a great all-rounder with a sound that is well within human hearing. The 212 whistle holds its pitch, or frequency, irrespective of how hard it is blown. 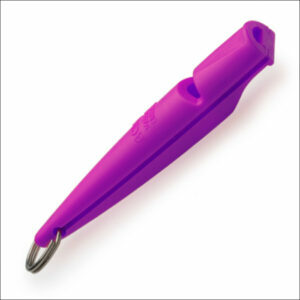 This whistle is especially accurate over distance and works very well with Pointers, Setters, Retrievers and most Terriers. 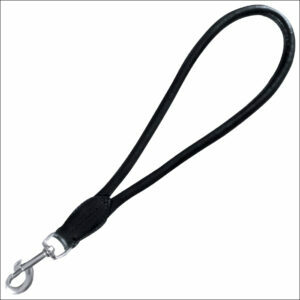 It is an excellent whistle for harder to train dogs and heavy cover situations. 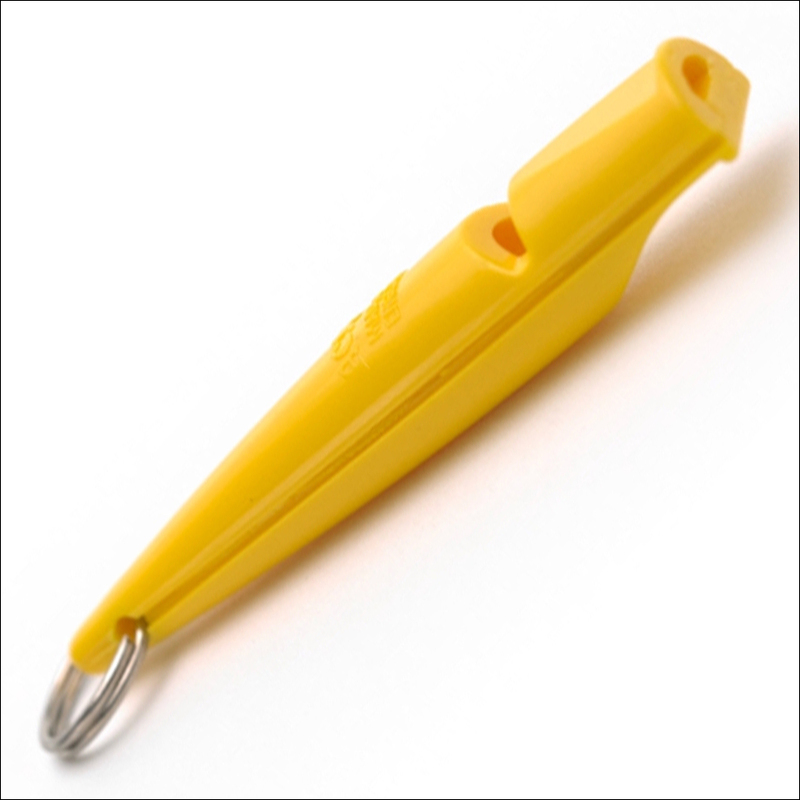 Also known as the ‘Pro-Trialler’, the 212 is usually the choice of professional trialists using this type of whistle. The Thunderer. In black or black! 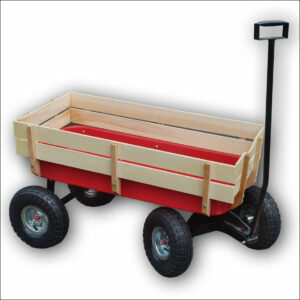 At a lower level of sophistication (and therefore also lower price) is the ‘Thunderer’. 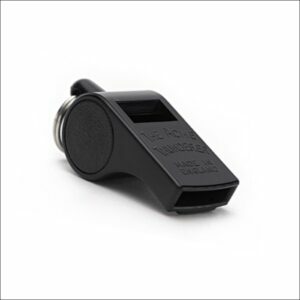 This model, with the classic appearance and trilling sound of a referee’s whistle, is the one which may be most closely matched by a ‘high street’ whistle. Except, we’d suggest, its quality. Finally the 535, which is substantially different in style from all the whistles noted above. 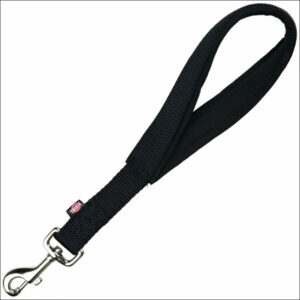 Although actually (and unhelpfully) named the ‘Acme Silent Dog Whistle 535’, as noted above no whistle is truly silent. If it were nothing would be able to hear it! Set at its highest frequency humans can hear the 535 – but only just. What your dog hears is far louder and travels up to an amazing 1.5km. 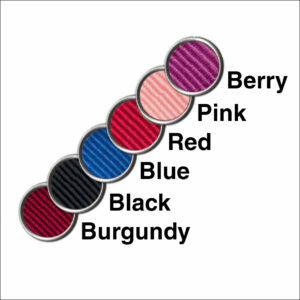 Designed with special air directors the frequency produced is tightly controlled. Adjustable through a wide range of frequencies using a screw piston mechanism, you can adjust the pitch until it’s at the optimum pitch for any particular dog, making it a most versatile whistle which can be used with all breeds. 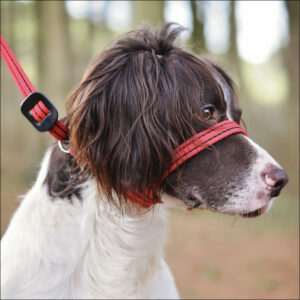 A booklet is supplied with each 535 giving easy instructions on adjusting the whistle and training your dog. 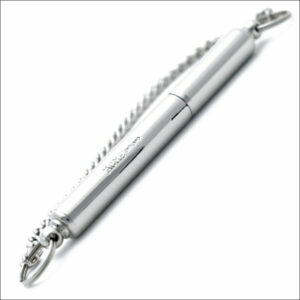 Manufactured from solid brass the 535 is the ultimate dog training whistle which will last for, literally, ages. The 210.5 has been developed with an extremely high pitch and is the optimum choice for spaniel breeds. The 210.5 emits a ‘constant’ sound without a ‘trill’. As a clue to their popularity, it’s interesting to note that the 210.5 is one of two models of whistle that Acme produce in a wide range of colours (the other is the slightly lower-pitched 211.5). Of their other whistles, none are produced in more than two colours. That tells a story! The 211.5 has been developed with a very high pitch and is the optimum choice for retriever breeds. The 211.5 emits a ‘constant’ sound without a ‘trill’. As a clue to their popularity, it’s interesting to note that the 211.5 is one of two models of whistle that Acme produce in a wide range of colours (the other is the slightly higher-pitched 210.5). Of their other whistles, none are produced in more than two colours. That tells a story! The 212 can be visually identified as different from the other Acme plastic whistles of this style, being measurably shorter. The 535 is substantially different in style from all the whistles noted alongside.